Though growing up autistic with physical health issues and a bed ridden Mother was not a normal or easy childhood it did open me up to the path of healing. Because of my unusual childhood I experienced many different healing modalities from an early age. Some I found useful, some useless and others I became fascinated by. Healing with sound and the shamanic process along with yoga and Tai Chi have become staples of my personal healing journey. I have been very lucky to have been able to work with a number of different Shamans from South America who also work with sound. They have helped show me that my body is my greatest teacher and my sickness part of my path. They taught me to trust spirit as it moves through me as sound. I have experienced extensive spiritual psychotherapy and depth work training with The Living Institute for nine years graduating in 2009. I have also been a Reiki Master since 1996 and have studied many other alternative healing techniques. Alongside all of this I have been studying, experimenting with and teaching the healing power of sound now for over 25 years. These sessions utilize a combination of energy work, shamanic techniques, and sound vibration to help remove blocks and restore harmony to your body and spirit. Each session is recorded on CD. Gather in a beautiful natural location to learn, play and use sound to help heal our body and souls. 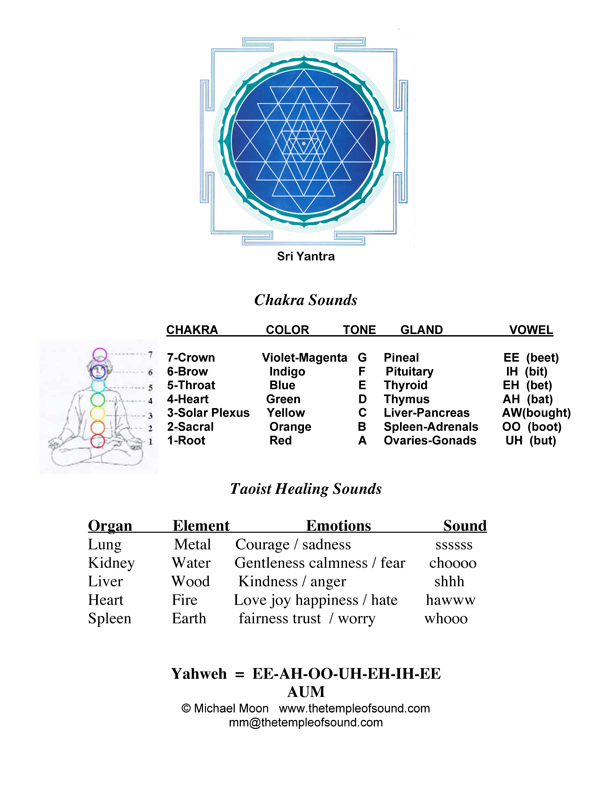 The power of sound has been used to heal, inspire and create a connection with the sacred since humans have been around. The human voice is designed for this purpose. When the voice is freed from the mind magic can happen. On these retreats we play, learn, and discover a new relationship to sound, music, spirit, nature, and ourselves. This is a deeply inspiring, relaxing and healing weekend designed for both musicians and especially to those who think they have no relationship to music! Music and the voice will be our vehicle to connect to our authentic selves, each other and beyond. 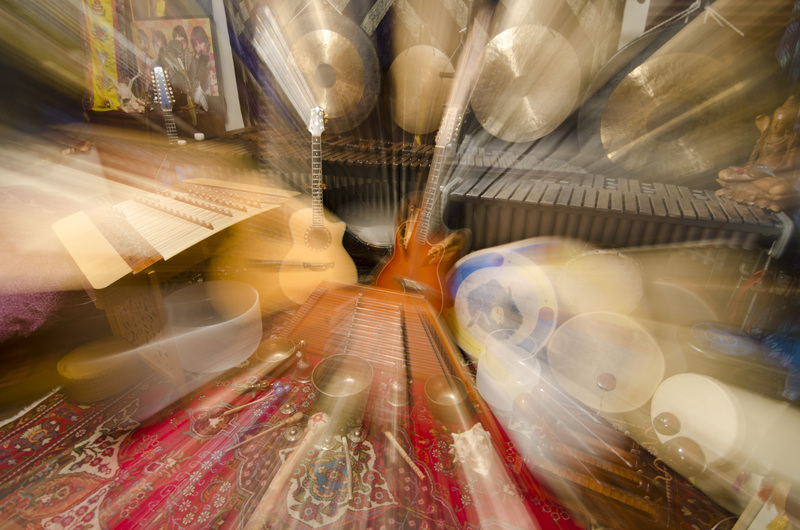 We explore nada yoga (the yoga of sound), toning, group chanting, group music making, drumming, overtone singing, using your voice to heal yourself and others and more. Anyone who plays an instrument is encouraged to bring it and we will learn a new relationship to it as a fun healing tool. “This was truly an amazing workshop: centered, improvisational, healing, wonderful. The union of nature, music and spirit was a creative and beautiful one. A safe space was created for healing and the exercises were grounding. Thank you so much for a weekend that was inspirational in every sense of the word.” A.C.
‘I thoroughly enjoyed this weekend! the location was perfect, the pace the structure was nice, not rushed or pressured. I enjoyed the exercises and found it very safe to express and explore new spaces and places inside. I wish only there was more time, Michael has so much to share. I feel rejuvenated and inspired.’ T.S. ‘The workshop went so far beyond what I imagined or hoped for. Lovely exercises that brought me openness and new learnings and connectedness. I loved our group and how we built trusting community. Your connection to, and understanding of SOUND has shown me so many new ways to experience it and so heightened my awareness. You are a gifted teacher, mentor, facilitator. My deep gratitude for all the gifts received.’ D.B. ‘Michael is a very generous, gentle and elevated soul, we had such a great and wholesome experience, learned allot, and made great connections with the other participants.’ M.A. Learn, practice, explore, share and play with sound healing techniques in an intimate and safe circle.